OmuRice is a very popular Yoshoku Dish, which is a Japanese-style Western Dish. It can be found at many restaurants throughout Japan. This also happens to be one of my favorite comfort foods. It's pretty easy to make if you already have cooked rice lying around at home. 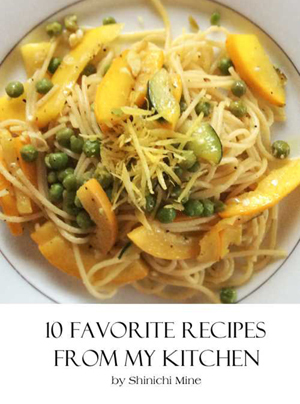 But if you don't this is hands down, the easiest way to make it, especially if you only need one or two servings. Here in Japan, our microwave allows you to choose the wattage. However if you don't have one of these, you could experiment with the times. Just keep checking your rice to see if it has finished cooking! Once you get it right, you'll have a difficult time going back to the old way of cooking. Put all ingredients into a large mug, with the exception of the egg. Give it a good mix around so the ingredients are combined. Crumple a sheet of parchment paper and lay it on the surface of the rice mixture. Loosely cover with a sheet of plastic wrap. Microwave for 2 minutes 30 seconds at 600 watts. Carefully open the plastic wrap and give it a quick mix. Cover and microwave at 200 watts (low temperature) for 10-12 minutes. Depending on your microwave, you can use defrost mode. Carefully peel off the plastic wrap and take out the parchment paper. Whisk one egg and pour it over the top. Microwave for 2-3 minutes until egg is cooked. Don't overcook! Serve with a spoon of ketchup and garnish with peas. Enjoy! Here's the video tutorial to make it easier! 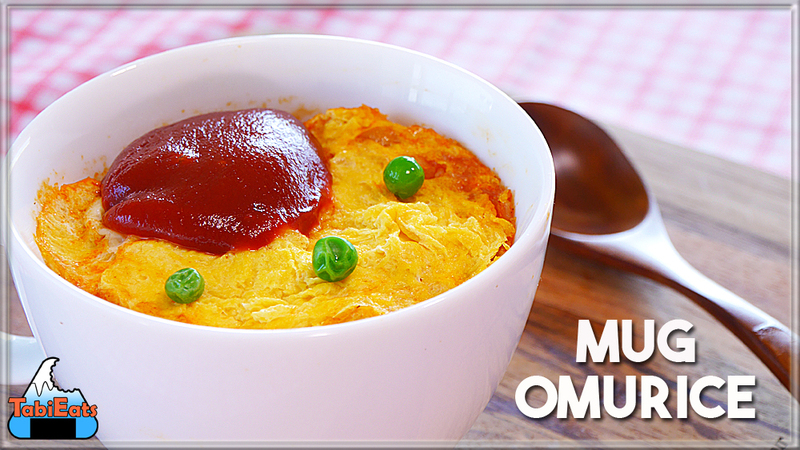 If you prefer to make it the traditional way, check our Omurice video above.